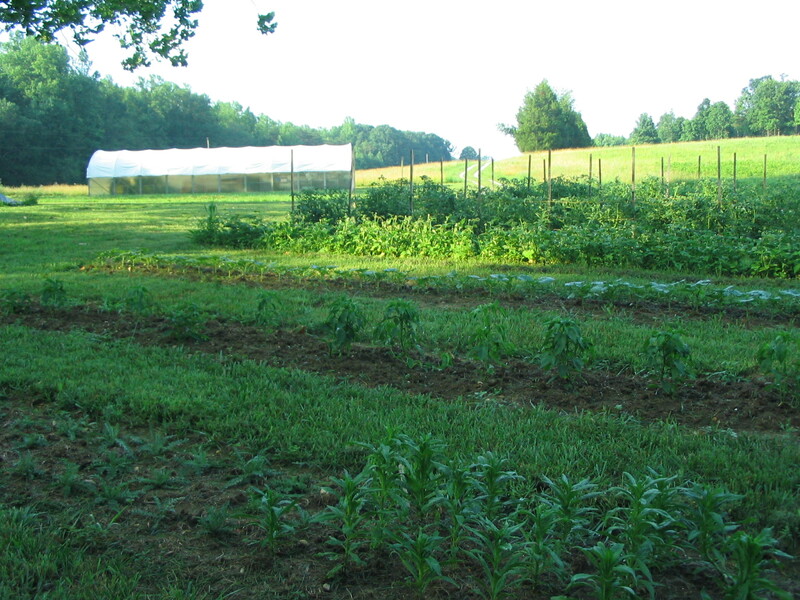 Thought I’d share some pictures of how the garden is looking as of this morning. This section of the garden is shaded until mid-morning by two huge sycamores. 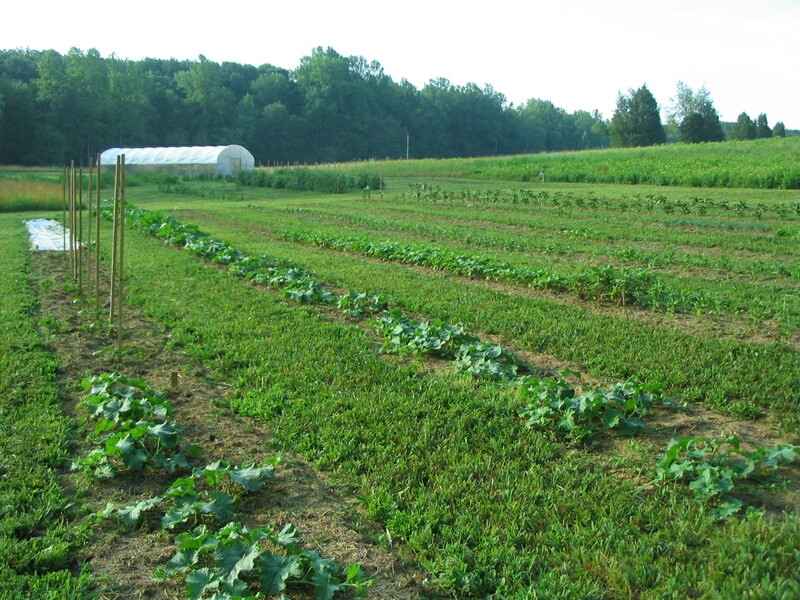 A row of melons, cukes, zucchini, pole beans are just getting started. 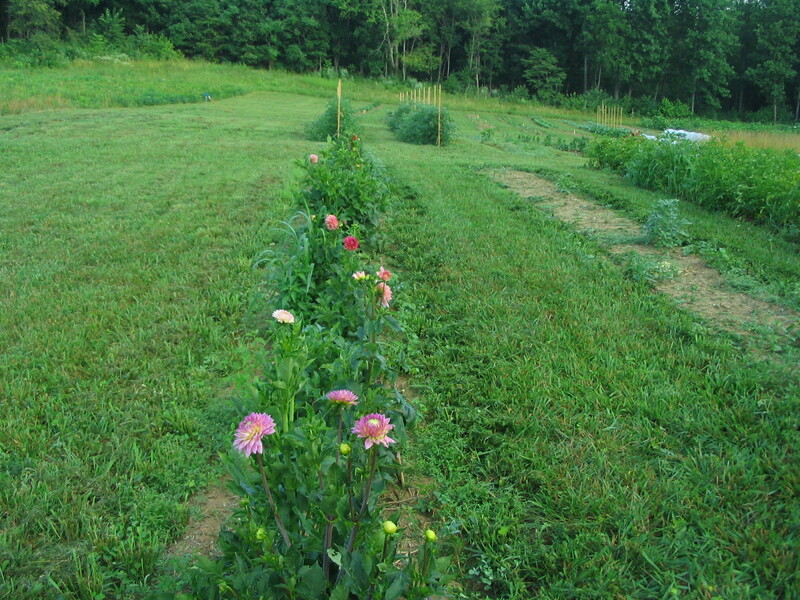 Further up are rows of rudbeckia, leucanthemum, echinacea, wax beans, cosmos, dill, parsley, chives, eggplant, and sweet peppers. 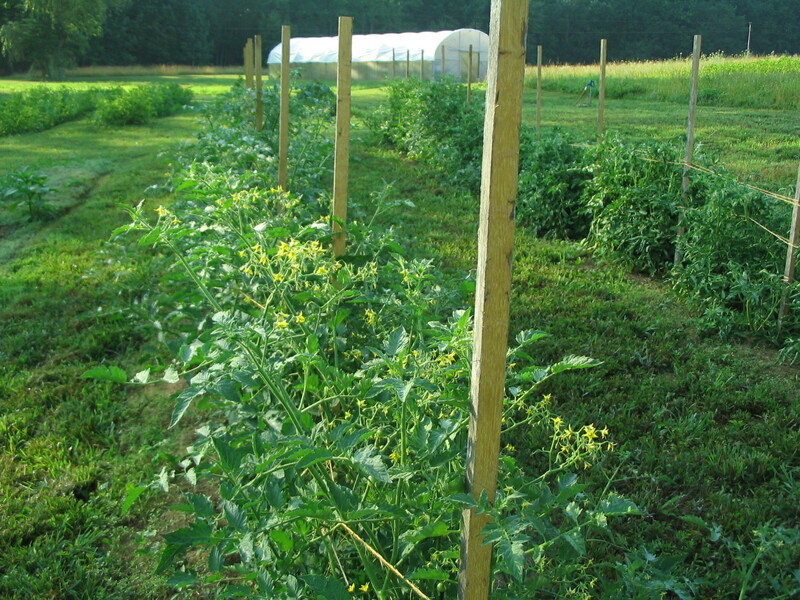 The cherry tomatoes are blooming like crazy. 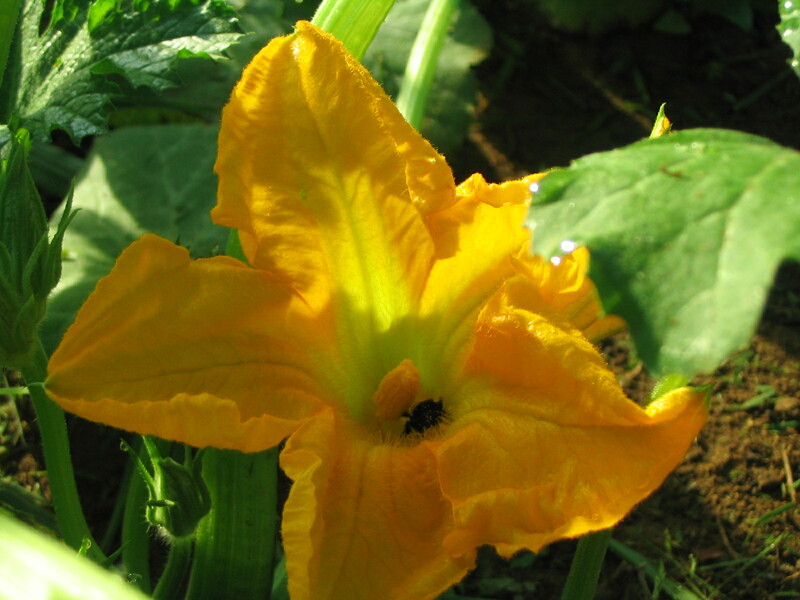 The zukes are being pollenated. 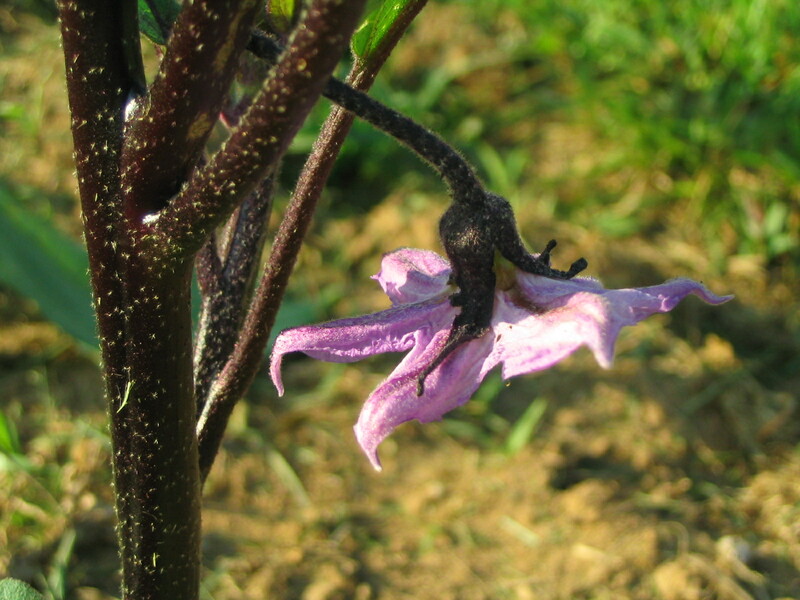 An eggplant blossom. I am looking forward to this variety: Orient Express. It is long and thin, perfect for roasting. 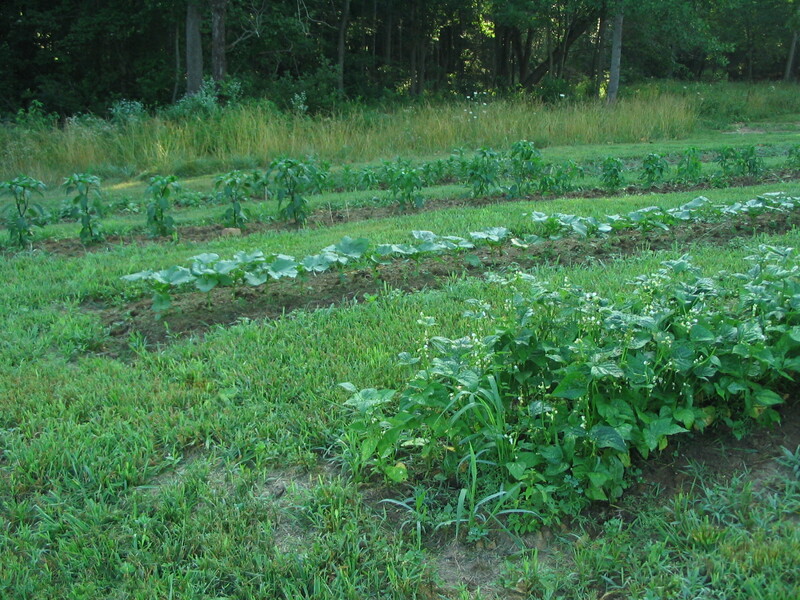 A row of green beans, okra, hot peppers, and flowers.